Federal agencies issued arrest warrants against a lawyer and 18 others Tuesday for trafficking heroin from Colombia and Venezuela to Puerto Rico . The chief federal prosecutor , Rosa Emilia Rodriguez announced in a press release that a grand jury issued an indictment against 19 people for conspiracy to possess with intent to distribute controlled substances, specifically heroin, and money laundering . The defendants are the lawyer Sariann "Sara" Maldonado Ramos and her husband Luis Medina Chavez, Hernando " Nando " Echeverri Marín , Ricardo " Ricky" Rivera Torres , Armando Rivera Ortiz, Yarimar " Aunt " Mercado Rodriguez , Rodolfo " Big Daddy " Reyes Santana Carlos Fernando Saavedra Potes, Reinel Manuel Martínez Salas, known as Chinese; Christian Luis Martínez Robles, Eduardo Rafael " Namesake " Field Carvajalino , Lucy Stella " Flaca " Gómez Lopera, Jaime Ernesto " Giggles " Gómez Montoya , Jannette Saavedra Echevarría , Jorge " Maracucho " Achilles Vega Berrios , Gavazno Paula Andrea Ruiz, Nilson Aristizabal Tezna , Jannette Saavedra Echevarría , José Luis Castro Delgado and Erika Casillas Bonet. Some acted as messengers and traveled to Venezuela to meet with luggage that provided them with heroin hidden inside . Others were in Colombia and were responsible for preparing and hide heroin in suitcases, which were transported from Colombia to Venezuela and there he gave the messengers or " mules" . Some defendants transported and delivered the drug gain from Puerto Rico to Venezuela . Heroin also sent by mail. According to the indictment , it was clarified that the role of Ramos Maldonado , Medina Chavez, Saavedra Echevarría and Aristizabal Tezna it was electronically send and receive money from the illegal drug trade , but they were not part of the organization and thus concealed the origin of where the money came from . Ten of the defendants are in Colombia , nine on the island this morning managed to arrest seven , and when failure to arrest Reyes Santana and Rodriguez Market, as reported . The seven arrested were brought to the Federal Court of Hato Rey before Judge Silvia Carreño Coll , who granted bail Maldonado Ramos , Medina Chavez, Saavedra Echevarría and Casillas Bonet. They imposed a $ 2,500 secured bond and another portion uninsured - who do not have to pay unless they comply with the conditions of bail , $ 2,500. They will have five days to pay the secured portion. Meanwhile, Torres Rivera, Castro Delgado and Rivera Ortiz be detained at the Metropolitan Detention Center (MDC , for its acronym in English) in Guaynabo, until arraignment and bail hearing , scheduled for May 30 in the case Torres Rivera and Castro Delgado, while Rivera Ortiz will be on June 5 . "These allegations show that the Department of Justice is committed to arresting drug traffickers responsible for import drugs into the United States, no matter where they conduct their illegal business ," Rodriguez said, noting that the prosecutor is Elba Gorbea said. The case was investigated by the Federal Bureau of Drug Enforcement Administration ( DEA ), Office of Homeland Security Immigration and Customs Enforcement (ICE ), the Department of the Treasury ( IRS) and the Office of Inspector General of the Postal Service .
" 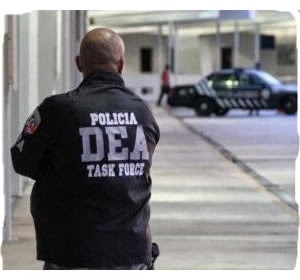 The DEA will continue to investigate and dismantle drug trafficking organizations operating from Colombia and Venezuela to Puerto Rico using point to get narcotics into the United States," said the agent in charge of the DEA in the Caribbean, Vito Guarino . If convicted , the defendants face a minimum sentence of 10 years to life imprisonment. Meanwhile , contrary to reports preliminary , interim administrative director of the Office of Court Administration (OAT ) , Wanda Santiago Rocha denied that an accused in the federal operation was the daughter of the chief judge of Arecibo , Angel Saavedra of Jesus as learned this morning. Santiago Rocha said that as soon this information was published , Jesus Saavedra contacted her to inform " the falsity of it and emphasize that there is no relationship with the accused ."